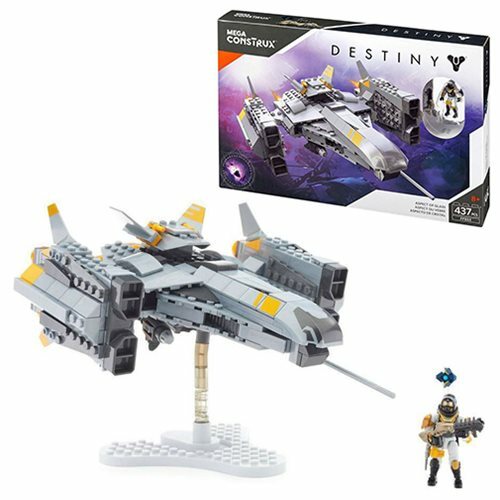 Travel through the Vault of Glass in a legendary Jumpship with this Mega Construx Destiny Aspect Of Glass Playset. This playset comes with a highly detailed, articulated Hunter mini-figure that comes with detachable armor and a Lord of Wolves shotgun. Build the jumpship and load your figure inside before firing from the ship's launcher! It also comes with a transparent display rod, which features articulation to allow for awesome poses! Be sure to combine with other Mega Construx Destiny playsets to expand your Destiny universe.